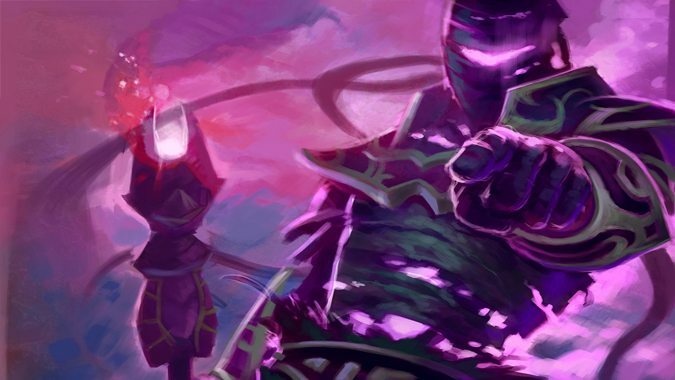 Know Your Lore: The Ethereals, a playable race? 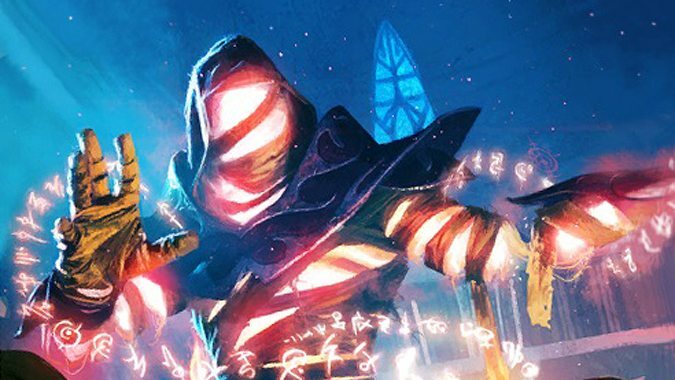 Last week, we took a look at a race that took center stage for a chunk of the latest expansion. The Shal’dorei are the kind of new entry to Warcraft lore that almost begs to be made a playable race. But there are other races out there that are worth exploring as well — and one of them has been around since WoW’s first expansion. I’m speaking, of course, of the Ethereals. We first encountered these strange creatures all the way back in Burning Crusade. Ethereals have an extensive but hidden history. We’ve been told parts of it, but we’ve never gotten the whole picture. Given their renewed presence in Legion, is it likely we’ll see them playable in a future expansion? The Ethereals were originally inhabitants of a world called K’aresh. K’aresh had a thriving ecosystem and several sentient species — the Ethereals were one among many. But they were an advanced race, intelligent and highly skilled with technology. They weren’t quite advanced enough to catch the Burning Legion’s attention…but they certainly caught the attention of the Void. No one really knows how Dimensius the All-Devouring came to K’aresh. Once there, he opened countless gateways into the Void, bathing the world in darkness. And all the technology in the world couldn’t stop what happened next — although magical shields were constructed around the cities, it was only a partial success. The dark energy of the Void was blocked, but the arcane energy that accompanied it streamed into the city unimpeded. It was enough to tear away the physical shells that housed these intelligent creatures, leaving them with just enough energy to subsist without bodies. They weren’t called Ethereals originally, but given what had occurred, it was only natural they assume a new name. Binding themselves with enchanted strips of cloth, the newly dubbed Ethereals managed to give themselves enough structure to survive. 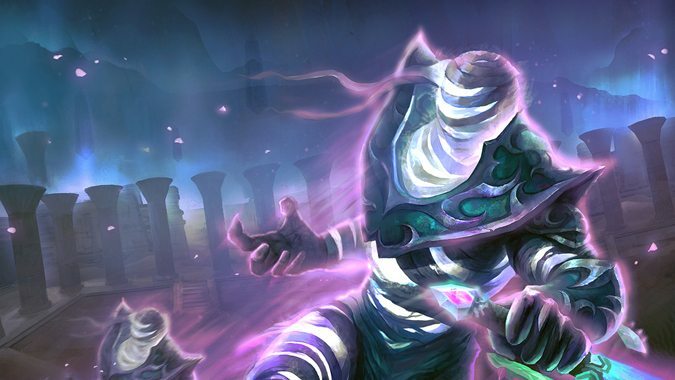 As for K’aresh…eventually Dimensius managed to summon enough Void creatures to send the Ethereal running to the Twisting Nether, their world abandoned. Its fate is unknown, though it has presumably been consumed by the Void. The Ethereum was once the ruling class, much like the Highborne of ancient Kal’dorei society. After being forced to evacuate K’aresh, they set their sights on vengeance. But that thirst for vengeance eventually consumed the Ethereum, and they sought darker and darker methods to obtain it. Twisted by their obsession, they turned to the very thing that originally cast them out: the Void. They didn’t just want to see Dimensius destroyed, they wanted to become Void themselves. And they’ll go to any means to obtain that goal. In Legion, it quickly becomes apparent that this included dealings on Azeroth. 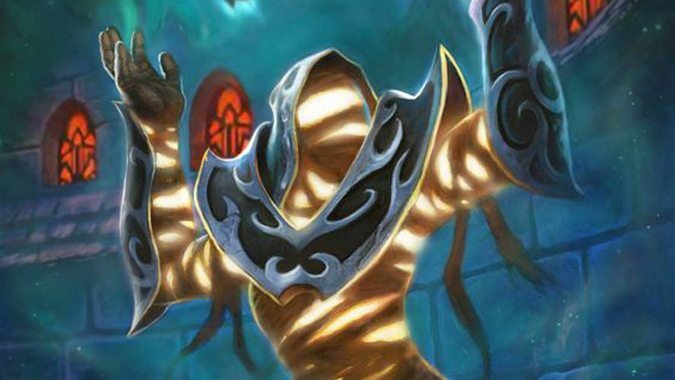 Priest and Mage players discover that the Ethereum inexplicably managed to strike a deal with Malygos, presumably while he was still maddened. It’s unclear what they promised him, but he gave them something in return — access to devices that could be used to siphon the Void directly, and weapons that could harness it. Lastly, the Shadowguard that have recently appeared on Argus seem to be an extension of what the Ethereum seeks to become. They’ve embraced the Void, and are currently trying to call it to Mac’Aree. The Ethereals haven’t really gotten the in-depth backstory that we’ve seen from the Shal’dorei. Despite this, they’re fascinating. Ever since their first appearance in Burning Crusade, people have wanted to know more about them. 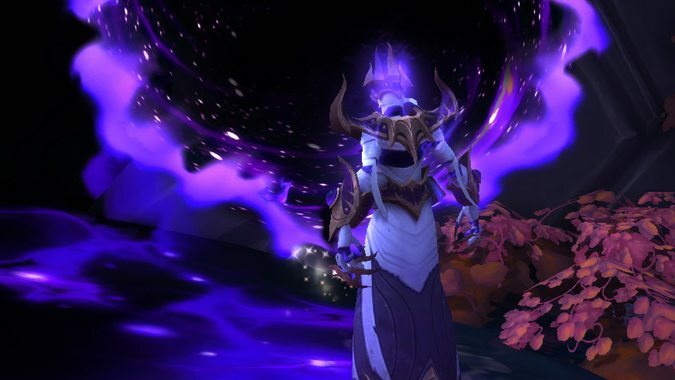 Their reappearance in Legion seems to be pointing to a newfound relevancy — one whose surface is barely scraped in Mac’Aree quests. The presence of the Void on Azeroth has become not just a tantalizing whisper, but an out-and-out looming threat. We battled the Nightmare in the first part of Legion, and it was made perfectly clear that this wasn’t a defeat. This was an impasse, if anything. The Void is still there. Azeroth’s world-soul dreams of it. K’aresh is, at this point, a painful, lingering memory. The Ethereals don’t appear to have a homeworld to go back to. They seem pretty content to trade with any species they run across, and for at least one faction, they have a vested interest in Azeroth. We’ve been good to the Ethereals — good for business, and good for taking care of threats when they pop up. If there’s a faction of Ethereals dead-set against the Void, there’s no denying that we’d make excellent allies. To put it plainly, these guys have a lot of story left to tell, and Blizzard doesn’t just re-introduce a race for no reason. 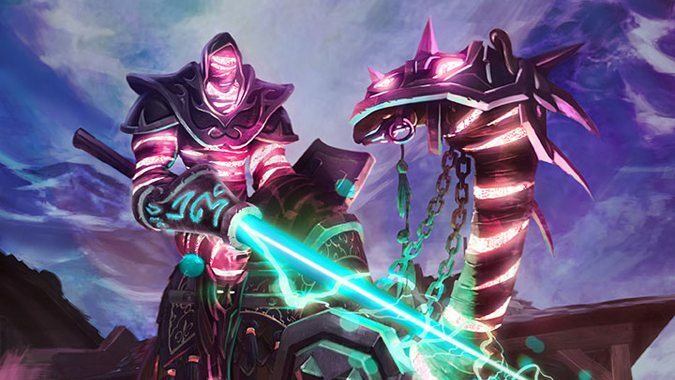 Aside from transmogrification, Ethereals have been largely absent from WoW since Wrath. We’ve seen them here and there, but never in a major story capacity. Their return now points to something larger on the horizon — and the potential for playability. Also consider the fact that originally, the Ethereals were a male-only race — much like Ogres. One of the first things you can do on the character-select screen is choose your gender. Races with only one gender don’t have that option, so they aren’t perceived as playable. With Ethereals, there were no female models, so the likelihood of being a playable race was fairly small. But recent Shadowguard additions have female voices. Maybe the models aren’t quite there yet, but it’s clear that gender is an option now. It wasn’t before. Obviously the Shadowguard are up to no good. They aren’t just focused on Mac’Aree; they hope to pull all of Argus into darkness. We thought we were the only threat to the Burning Legion, but the Shadowguard appear to pose another. And they aren’t all evil — in fact, one tantalizing figure appears to be the opposite…although his motives aren’t exactly crystal-clear. Locus-Walker isn’t his real name, but it’s what he’s going by now — and he isn’t happy with what his people are doing. But instead of turning away from the Void, Locus-Walker appears to have successfully embraced it, and retained his sanity in the process. He tried to teach Alleria how to do the same, but she left for the Army of the Light before she could complete her training. However, Locus-Walker has reappeared on Argus, and has a vested interest in what the Shadowguard are doing. Over the course of that investigation, he reunites with Alleria and helps her finish the training she’d abandoned. After that, Alleria returns to the Vindicaar…and Locus-Walker disappears for parts unknown. Is Locus-Walker the only Ethereal that’s managed to master the Void? Are there others out there who have done the same? If he is not a servant of the Void, what does he hope to accomplish? Is he an ally waiting in the wings for Azeroth’s seemingly inevitable battle with the Void? Or is he a sign, the herald of a new playable race? While Ethereals haven’t had the heavy development of the Shal’dorei, they’ve been around for far longer in Warcraft lore. Much of their history is still unexplained — but they aren’t a race that’s been tacked on for the sole purpose of a single expansion. Their story has intersected with Azeroth’s at a few key points. The fact that they are making a quiet resurgence at the tail end of Legion may not be just a coincidence. Legion may be focused on our battle against Sargeras and his army, but we’ve diverged from that path over the course of the expansion. It’s become increasingly clear that even if the Legion is defeated, there are other enemies out there. The Legion isn’t Azeroth’s only threat. And with the shadow of the Void looming ever closer on the horizon, maybe a race with first-hand experience isn’t such a stretch for playability after all. 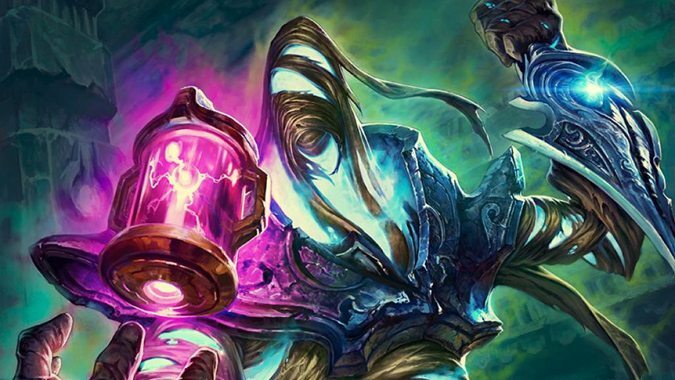 We’ll have to wait and see to find out — but BlizzCon is coming very soon, and it may hold some answers.